At least for a Massachusetts credit union commercial loan officer. A four-year run of kickbacks ended in 2009 when Michael Dicenzo left Greylock Federal Credit Union. Four years later, he has been indicted on four counts of loan fraud, four counts of tax fraud and the always damning one count of lying to the feds. For this, Dicenzo received the free use of a home and a BMW. 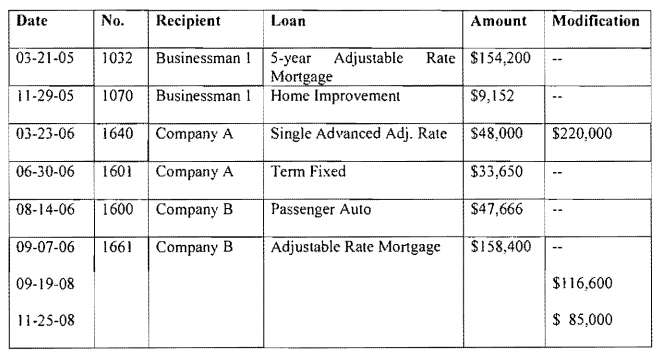 And $134,000 that he transferred from the borrower’s account into a sole proprietorship checking account. Sadly, there is more. Dicenzo supervised accounts for two unnamed social and service organizations. The feds say Dicenzo transferred $48,000 from the two accounts to the sole proprietorship checking account. The four counts of tax fraud arise as the funds deposited in the checking account were omitted from the tax returns.